Mitchelton Football Club has been a significant player (see what we did there?) in the Brisbane football community since 1920. We cater for players of all ages, gender, and ability, with around 1400 active playing members kicking a ball around our club in 2018. No matter what your age, gender or level of skill we will have a team for you! Looking for 2019 FIXTURES? Go to our Match Centre page for links to fixtures and match results. 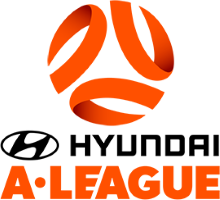 MFC are pleased to announce Football Brisbane's regional Director of Coaching, Martin Docherty will be at Teralba Park to deliver a Skills training Certificate. 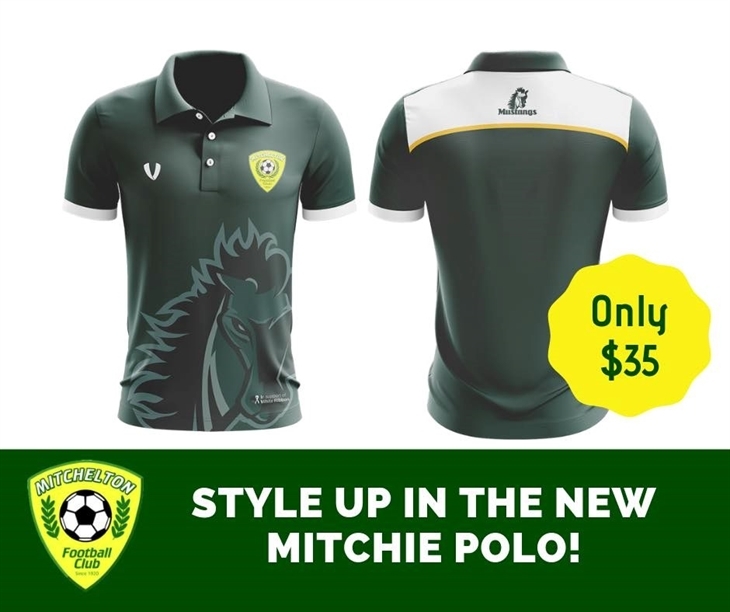 Get excited - the new Mitchie polo is here! To avoid missing out, get your order in by Sunday 28 April. The committee was awaiting final confirmation of the delivery date of the Shock Pad which was on the critical path of the Project. Unfortunately, through no fault or blame of the committee, the delivery of the shock pad has been delayed. The current estimated date of arrival for the shock is the 06th May 2019 into Brisbane Port and will be shipped to Mitchelton Football Club straight thereafter. 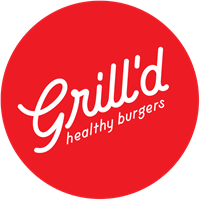 The revised Practical Completion ("PC") Date is 07 June 2019. The Contractor is working on various options to improve the PC date. We believe there to be no further constrains on the Practical Completion with exception of inclement weather. The Contract is a Lump Sum Contract with clearly defined milestone payment dates. There has been no known unknown Variation submitted by the Contractor. The Cost remains within the funds received through grant for this Project and no cost overrun is projected. The Committee have arranged to have the Water Tank located at Field 5 connected to the main water compound located next to Field 1. As you might have noticed, Field 5 is now closed for the next couple of weeks in order to provide it with some much needed irrigation and seeding from the bore water located in the main water compound. Cost - The Club has incurred no cost for having these works completed. In order to maintain water levels within both the main water compound and Field 5 water tank, a review of the remainder of the bore holes was done. The bore hole located near the walk way opposite Field 7 has been identified as the most viable water source in addition to the bore located in the main water compound. A complete irrigation system installation is required in order to fully utilise this bore. Cost - The Committee have solicited a number of quotes from Contractors to find the most cost effective option available. The cost equates to $16,500.00 all inclusive with the works being completed by a number of Contractors. Trenching, electrical and installation of the irrigation piping will all be done by separate Contractors. All of these activities will be managed by Perfection Plus Maintenance ("PPM") free of charge. PPM is presently responsible for the maintenance of Mitchie fields and facilities. Works will take about 5-7 days to complete post approval of the Work Order requested via Brisbane City Council. This process will reduce the Club's water bill significantly and provide much needed irrigation to remainder of our fields. Exciting news re our new Synthetic Pitch! 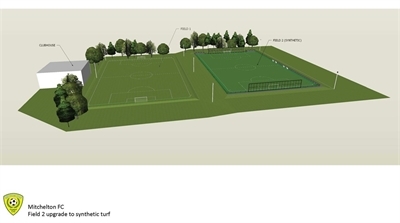 After several years of planning and hoping, thanks to funding and assistance provided by Brisbane City Council and the Queensland Government, the construction of our new Synthetic Field is commencing shortly and is expected to be completed by April 2019. 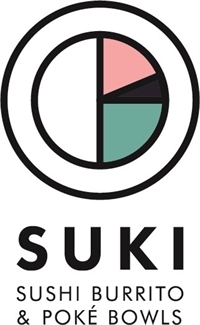 · It will provide a much-needed new source of revenue to the club. Unfortunately our fields have been vandalised again. If you know anything about the incident, or if you hear a vehicle tearing around in Teralba Park late at night, please contact the police. 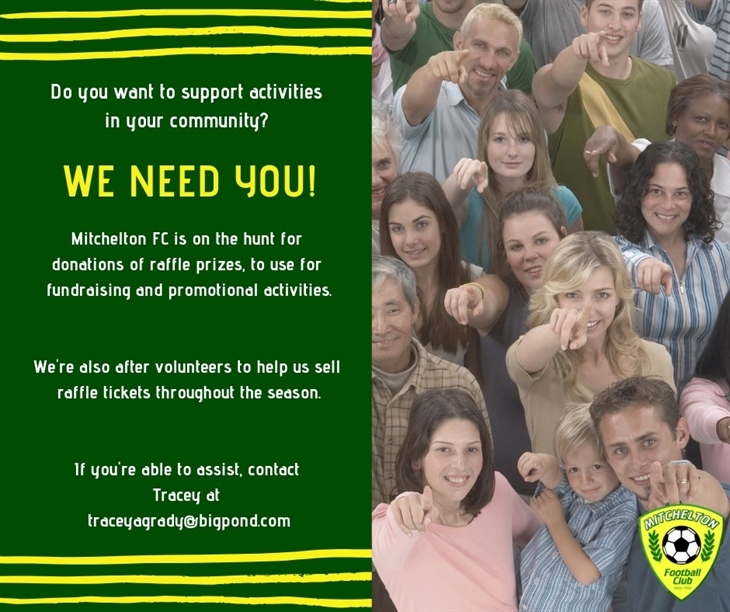 You can also email secretary@mitchiefc.org.au if you have any information or queries. All Junior teams must be off their allocated field by 7:00 pm so our Seniors can start. Senior Training times are 7:00 pm to 9:00 pm. Please click here here for Mini-Roos / Junior training maps. Please click here here for Senior training maps. MFC have released our U6 & U7 fixture lists for 2019. We are running our own Hubs along with Westside at both age groups. There will be two more inter club games before the school holidays with Westside joining us after the holidays, your team Managers have been sent full details. The Football FUNdementals / Grassroots course held at MFC on Wednesday was a great success with 30 MFC coaches in attendance. Martin Docherty from Football Brisbane put on a great session mainly focusing on the U6 to U8 age range but some useful tips for all Coaches in attendance. Any coach wishing to discuss Coach education at any level please do not hesitate to contact me. 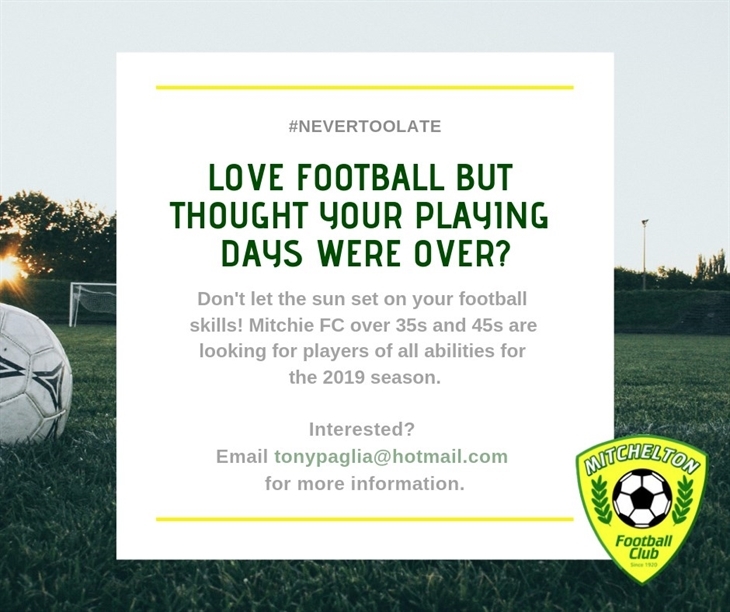 It's never too late to play football!